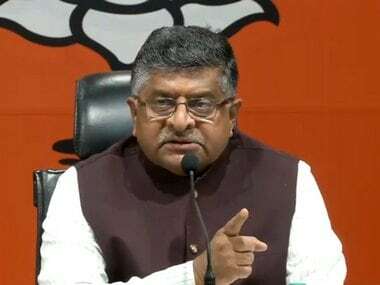 After the Supreme Court's verdict dismissing all petitions demanding a probe into the Rafale fighter jet deal on Friday, the BJP demanded an apology from Congress chief Rahul Gandhi and said that the verdict was a "slap on the Congress' politics of lies". The apex court's ruling vindicated the party, which had been accused of corruption in the Rafale deal and favouring a certain company as the offset partner for political gains. BJP president Amit Shah asked Rahul to apologise to the country and its soldiers for putting national security at risk. Stating that his party was ready for discussion on this issue, Shah challenged the Congress to debate the issue in Parliament. "I welcome SC order on Rafale. The truth has won. An attempt was made to mislead people using lies. Rahul Gandhi should apologise to the nation and the Army. 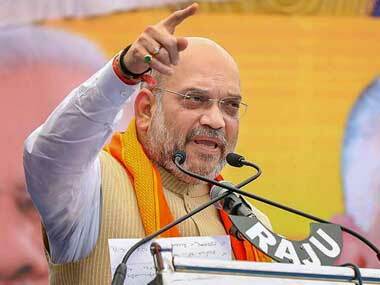 He has put the national security at risk," Shah said at a press conference at the party office here. 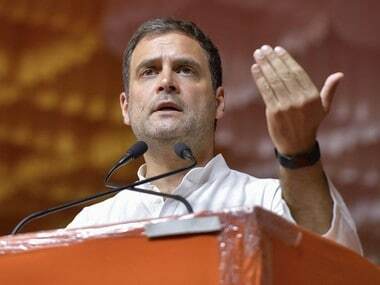 For the sake of his own credibility, Rahul should reveal the source of information on which he based his false allegations on the Rafale deal, he said. Shah also tweeted, "Truth always triumphs!" and added that the apex court's judgment "exposed the campaign of misinformation" by the Congress. "The court didn’t find anything wrong with the process nor did it find any commercial favouritism in the deal. On the contrary, the Supreme Court held that the government had no role in selecting offset partners and found no merit in the demand for a probe based on the mere perception of individuals. "It therefore raises obvious questions on the motive of those working to discredit the deal, which is important for India," Shah said. Home Minister Rajnath Singh led the government's rebuttal on the issue as he slammed the Congress for "maligning India's image", and demanded that the party and Rahul apologise to Prime Minister Narendra Modi for "levelling false allegations". The Lok Sabha was adjourned till 17 December, following ruckus after the verdict. ANI also quoted Singh as saying, "The Rafale deal was crystal clear from the beginning." Anil Ambani, Chairman of the Reliance Group, whose company is the offset partner of French aviation company Dassault in the deal, said that he "welcomed" the judgment, which "summarily dismissed" all the petitions on the Rafale contracts. He said, "(The judgment) conclusively established the complete falsity of the wild, baseless and politically-motivated allegations levelled against Reliance Group and me personally. "We remain committed to India's national security and to making our humble contribution towards the 'Make in India' and 'Skill India' policies of the Government in the critical area of defence, including our offset partnership agreement with our valued partner, Dassault Aviation of France, Ambani added." However, one of the petitioners, advocate Prashant Bhushan said that they will not back down with the campaign against the deal. He said, "In our opinion, the Supreme Court judgment is completely wrong. We will decide if we will file a review petition." He also said slammed the Supreme Court and said, "This isn't the first time when the SC has failed us in ordering a probe in cases of high-level corruption. In the Birla/Sahara case, where IT & CBI had recovered documents showing large payoffs to politicos which tallied with their books of accounts, the apex court had also refused to order a probe." SC also accepted govt claim that selection of Ambani as offset partner was done by Dassalt and the government has no role in it, despite the fact that defence procurement procedures and offset guidelines require that all offset contracts must be approved by the Defence Minister! Congress leader Anand Sharma said that there was "no reason" for the prime minister and the BJP to celebrate about the apex court's verdict. He also said that the fundamental issues were not discussed by the court. "We insist on the JPC probe," Sharma said. The demand for a Joint Parliamentary Committee investigation into the deal was echoed by several other Congress leaders, who also noted that the Supreme Court, in previous hearings, had clarified that the bench would not consider technicalities of the case. Hence, the Congress leaders said, the verdict is incomplete. Congress spokesperson Randeep Surjewala accused the government of providing "one-sided, half-baked evidence" on an "unsigned affidavit which was not released for public scrutiny". 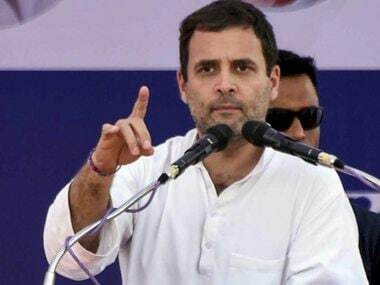 He added, "The verdict of the Supreme Court is a validation of what the Congress had already stated: The court is not the forum to decide on the issue of a sensitive defence deal, it is not the forum to take a decision on the details of the deal. Only JPC would be able to probe the details and find out who are the people involved." Another Congress leader, Mallikarjun Kharge said that he condemned the home minister's statement, and reiterated the party's demand for a JPC investigation. Jyotiraditya Scindia said that the order is not a setback as the issue is still live in the "people's court" and the Congress will continue to raise it in Parliament. "The apex court order is not a setback as the Rafale deal is still an issue in the people's court. And the party will continue to raise the issue in the Parliament," Scindia told reporters. National Conference leader Omar Abdullah said he did not see the Rafale deal remaining an election issue in view of the verdict given by the Supreme court. "Can't see how Rafale Deal remains an election issue after this," Omar wrote on Twitter after the top court verdict. "Have to ask whether the Supreme Court was the right place to fight this battle? Some fights are best fought in the political arena," he added. BJP leaders and ministers, however, welcomed the verdict. That @RahulGandhi is a Liar of the first order is established with the Supreme Court Rafale verdict. 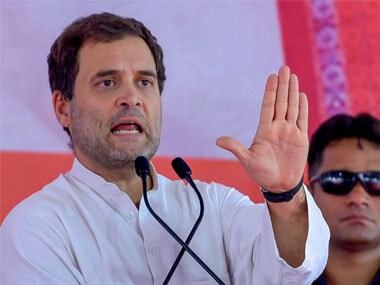 His father was accused of 'dalali' in Bofors and Rahul & Mom are recipients of 'family' loot in Agusta Helicopter deal.His attempts to blame PM resulted in a tight slap for Rahul.